Melissa Parker (Smashing Interviews Magazine): Dr. Wecht, in the President John F. Kennedy case, what was the first obvious clue you had that told you there was more than one bullet fired in the assassination? Dr. Cyril Wecht: The first obvious clue is when you look at the sine qua non Warren Commission’s report’s conclusion vis-à-vis Oswald is the sole assassin. Without the single bullet theory, there cannot be one assassin. You either have a single bullet theory, which permits you to have one shooter, or you don’t. If you don’t you’ve got to have two shooters. There were seven wounds in two men; two large bones broken, four inches of a rib in Gov. John Connally destroyed, and the distal radius fractured extensively. Look at the trajectory which the bullet is zig zagging, the positions of the two men, and the bullet that has left pieces of itself which are demonstrable on x-ray in four different anatomic locations; one in Kennedy and three in Connally. a bullet that lost only 1 ½ percent of its total weight despite having left pieces of itself, and a bullet which emerges near pristine condition. The nose and the cone of the bullet are completely intact. There is no deformity except for the base from the impact of the firing mechanism. The government themselves conducted an experiment with the same ammunition (6.5-millimeter military ammunition) from a Mannlicher-Carcano rifle, the alleged murder weapon. They hit one rib of a goat carcass to simulate Connally’s rib fracture then shot through a human cadaver’s wrist breaking the radius to simulate Connally’s wrist fracture. Every single bullet showed substantial overwhelming deformity and those were bullets that either hit the goat’s rib or hit the radius in the cadaver. That was their experiment, which they have refused to ever repeat. There is the acoustic evidence also. A wonderful PhD, Don Thomas, who wrote the book Hear No Evil, correlates the shots from an auditory standpoint. In 1965 I gave a paper at the American Academy of Forensic Sciences and they devoted a full day to the Warren Commission’s report that had come out in late 1964. I was asked to represent the Pathology section, so that started me on this path and here we are in 2010 coming up on a full 45 years. I’ve been actively involved for those years, have written many papers and chapters in books, appeared on hundreds of radio and television programs, and have probably given thousands of talks on the subject. That’s the sheer absurdity of the Warren Commission’s report. The single bullet theory is a joke. Melissa Parker (Smashing Interviews Magazine): They totally dropped the ball in the original autopsy, didn’t they? 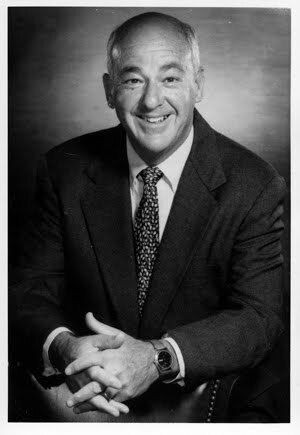 Dr. Cyril Wecht: It was done by two pathologists, Humes and Boswell, who had never done a medical legal autopsy in their entire careers. When they were called in to testify I was a member of the House Select Committee of the Assassinations Pathology Panel, which was convened in 1977 to reinvestigate the deaths of Kennedy and Dr. Martin Luther King. 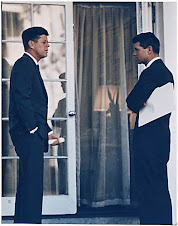 Humes and Boswell came in and were asked, “Did you ever do a medical legal autopsy case before you did the case on Kennedy?” They said, “No.” Can you imagine? Let’s set aside politics and feelings about the president, that’s neither here nor there. This is 1963, modern times, and this is your president. This is not Abraham Lincoln in the century before and you’re going to do this autopsy after you have illegally taken the body away from Dallas! There was no law that permitted them to do that, no law in effect that permitted them to take that body out of Dallas. There was a competent board certified forensic pathologist there, Dr. Earl Rose, at Parkland Hospital along with the local justice of the peace ready to assume jurisdiction and perform the autopsy. Okay, so they took the body illegally and delayed the autopsy for 8 hours. But, they then called in Fink from the AFIP (Air Force Institute of Pathology) who had some limited experience mostly dealing with larger type ammunition from the Vietnam War, but who was not really a practicing forensic pathologist in terms of typical kinds of gunshot wounds and so on. They missed a bullet hole in the neck. It wasn’t until the next day they learned that there was a bullet hole in the neck. They saw only a tracheotomy until the next morning when they talked to Dr. Perry, the lead surgeon in Dallas. A guy named Tomlinson found the “stretcher” bullet while he was trying to get to the men’s room and stretchers blocked the corridor. Nobody had seen this bullet before. 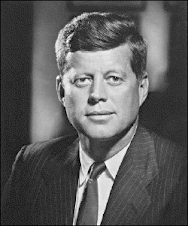 When this information was conveyed to the pathologist that night at Bethesda where the autopsy was being done, incredibly they said, “Well, when the president lay on his back and they applied pressure for cardiac massage, that pressure forced a bullet back out through the hole in the back and fell onto his clothing, then from his clothing onto a stretcher.” That was the origin of the “stretcher” bullet as of that Friday night (laughs). The next morning (November 23) when they learned the bullet had come out of the neck, then the “stretcher” bullet was now at the front of his neck. It had gone through 6 inches of soft tissue, gone through the starched collar, got frightened to death, and just plopped down right there. 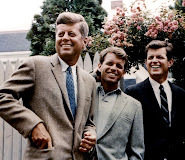 Five and a half months later when they put the single bullet theory together, that same bullet became a bullet that continued on through Kennedy, through Connally’s chest, Connally’s wrist, into Connally’s side, and came out of his left thigh. That’s why I dubbed it the “magic” bullet. It will readily accommodate you, whatever you need from it at any particular point in time and will make itself available to you. 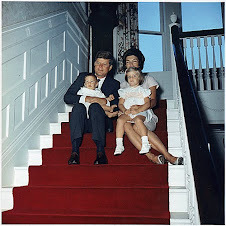 Melissa Parker (Smashing Interviews Magazine): They didn’t keep Kennedy’s brain, did they? Dr. Cyril Wecht: No they did not dissect the brain. We were told it was preserved. But I discovered in 1972, when I was the first non-government forensic pathologist given access to the autopsy materials at the National Archives that the president’s brain was missing. That was in August of 1972. So here we are 38 years later and nobody has officially accounted for the president’s brain. Melissa Parker (Smashing Interviews Magazine): That’s beyond belief, isn’t it? Dr. Cyril Wecht: Yeah, unbelievable!